Abraham Woodhull flips through his new code book in Episode 7 of TURN: “Mercy Moment Murder Measure.” For the source of the episode title, look to page 2 of the Culper code book. 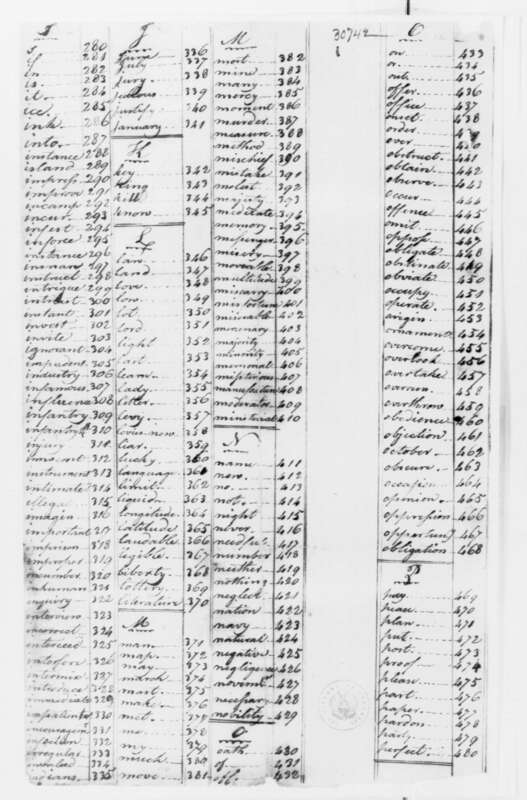 Thanks to the wonderful folks at the Library of Congress who have digitized a massive amount of George Washington’s papers, anyone can download an original copy of this particular code book and encrypt messages a la Culper to their heart’s content. These four pages also provide a fascinating glimpse into 18th century American vocabulary. Obviously, the words included in the code book were words Tallmadge thought the spy ring would use most often in its correspondence. 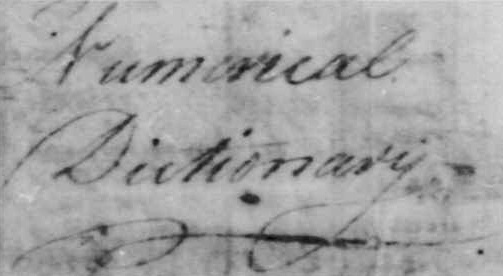 If you use the Culper code to encrypt your own 21st-century letters, you might be surprised at the amount of common words (common to us, anyway) that are not included. Click on one of the four pages below and then click “view full size” for the largest available size. All images courtesy of the Library of Congress, where this copy of the code book resides. 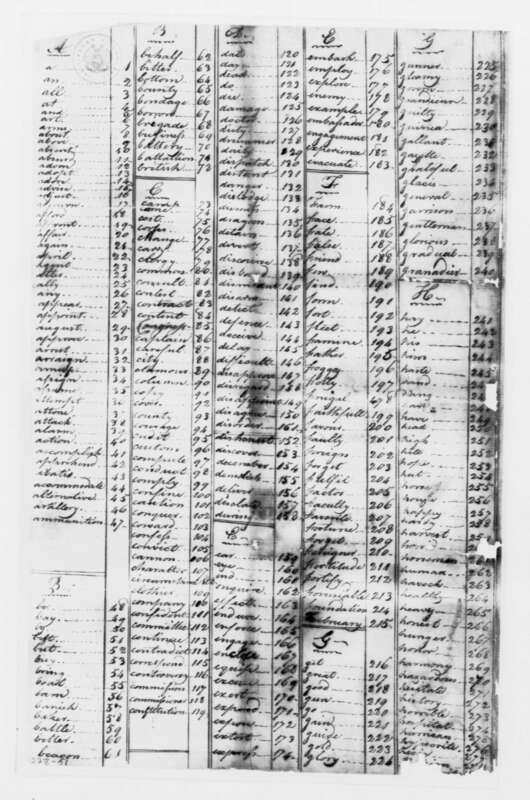 You might want to keep it readily available for future episodes of TURN… or if you’re feeling REALLY ambitious, you can try to decode one of many original Culper code letters found in the LOC’s online collection of George Washington papers. Cipher: A system for disguising a message by replacing its letters with other letters or numbers or by shuffling them. Code: A system for disguising a message by replacing its words with groups of letters or numbers. In other words, ciphers usually involve simple substitution — swapping one letter out for one number, letter, or symbol. Codes are usually more complicated (e.g. one number could represent an entire word, name, or phrase) and require a code book or other device in order to interpret them. 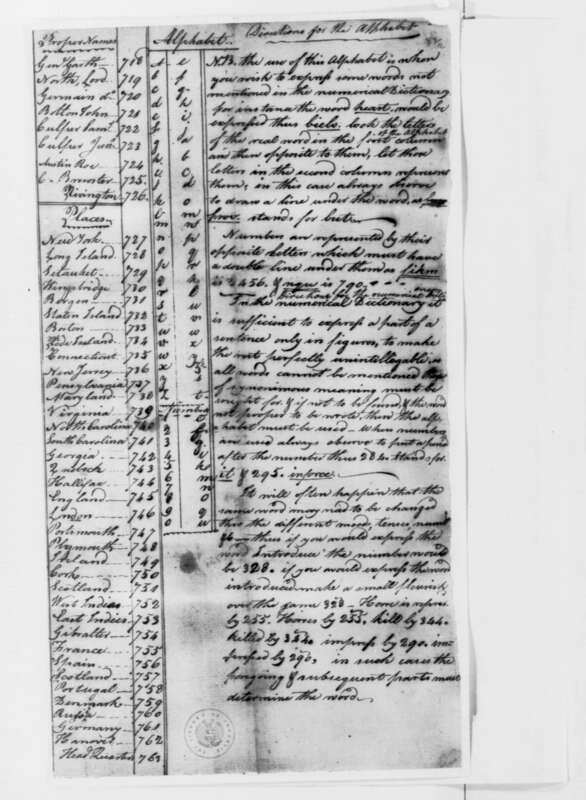 The Culper code book contains both a code (first three and a half pages) AND a cipher (the simple alphabet cipher used to encrypt words that are not included in the code dictionary). If you love the nitty-gritty details of spycraft, don’t forget to check out our earlier post on the Cardan system and steganography, featuring the beautiful copper grille seen in the pilot episode of TURN. ipdqs! 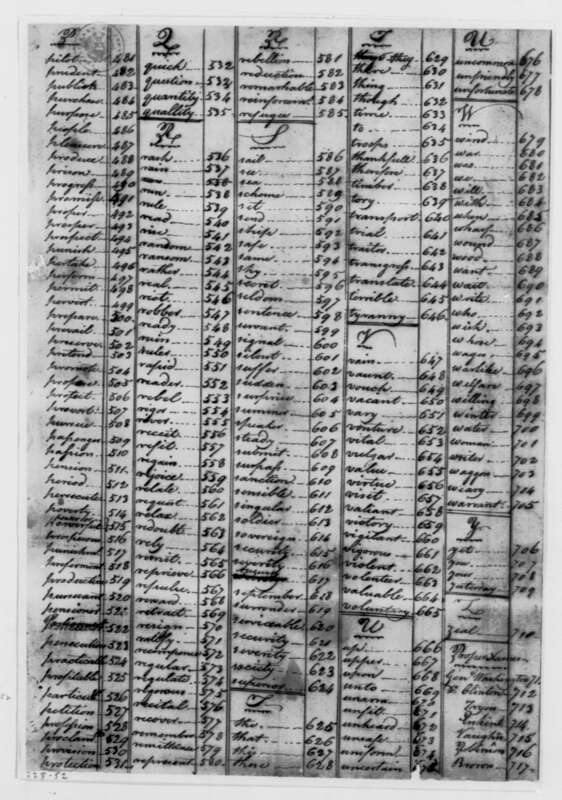 This entry was posted in Spycraft and tagged benjamin tallmadge, ciphers, codes, Culper code, george washington, Library of Congress, spycraft, TURN, turn amc.